Rich deciduous forests, usually mesic beech-maple stands, occasionally swampy or relatively dry forests. 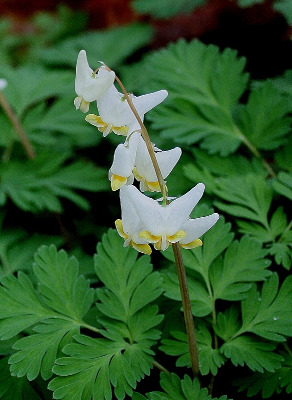 A familiar wildflower, reaching the peak of its blooming a week or more earlier than D. canadensis when the two grow together in the same or nearby forests, as they often do. The distinctive basal bulblets, crowded in a large bulb-like assemblage, owe their pink color to copious minute red dots. These dots are rarely absent, leaving the bulblets white. MICHIGAN FLORA ONLINE. A. A. Reznicek, E. G. Voss, & B. S. Walters. February 2011. University of Michigan. Web. 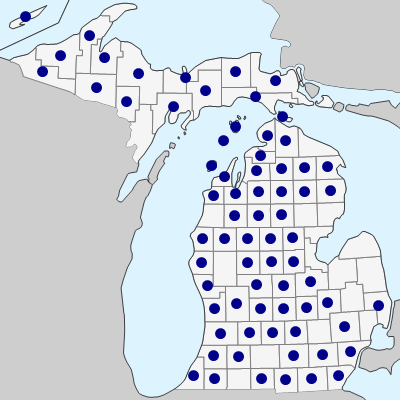 April 21, 2019. https://michiganflora.net/species.aspx?id=1891.